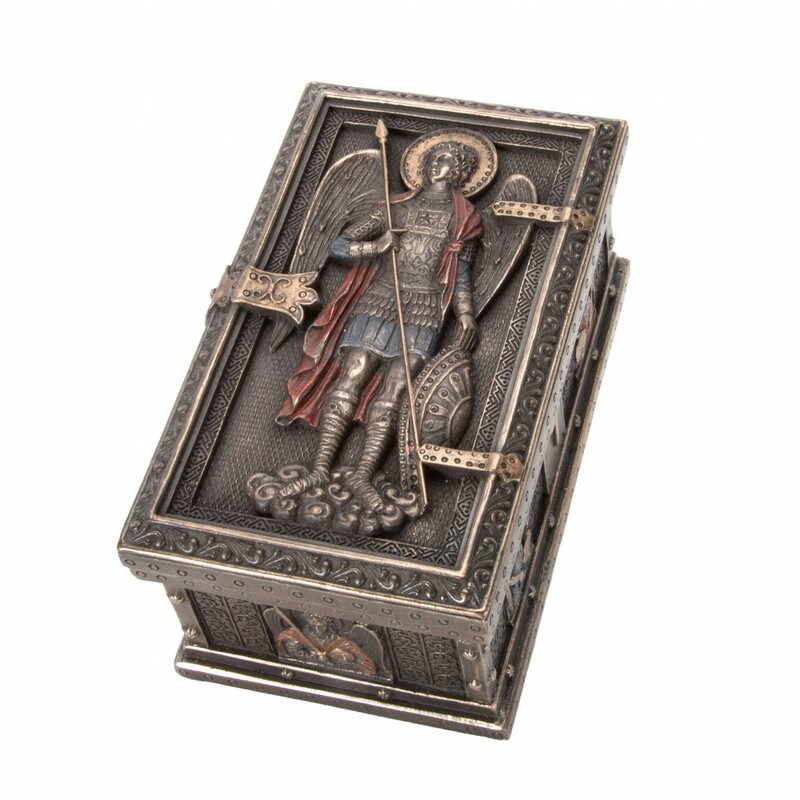 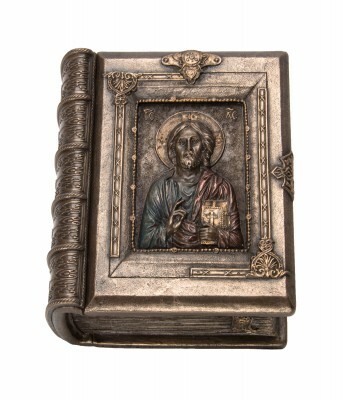 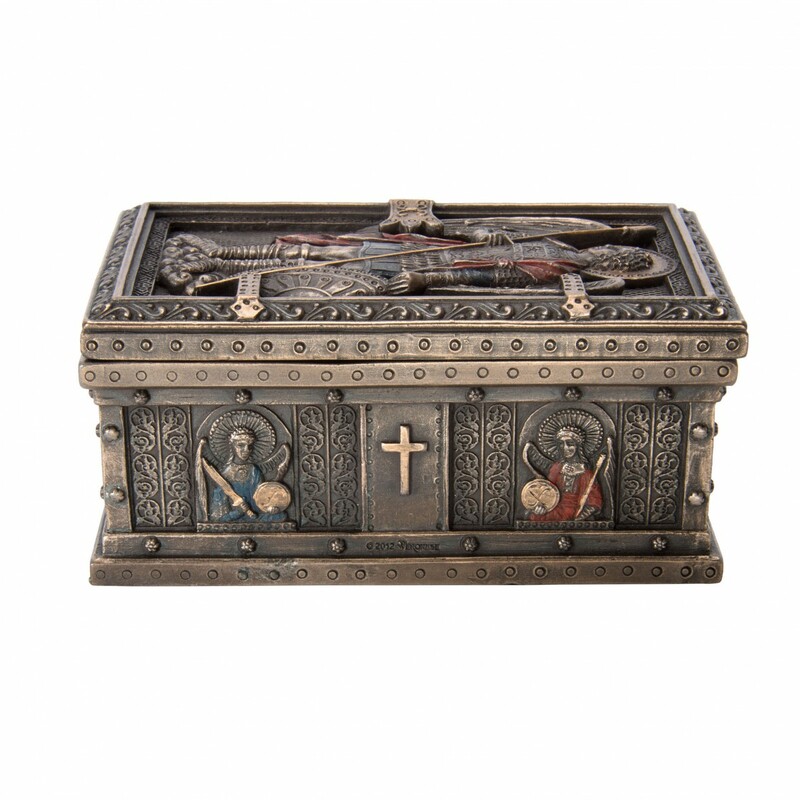 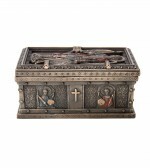 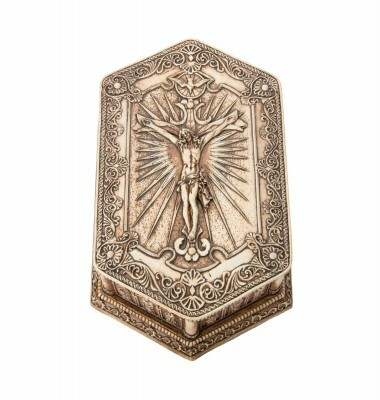 This tastefully designed, antique style St. Michael’s Box is lightly hand painted solid resin and is beautifully detailed. 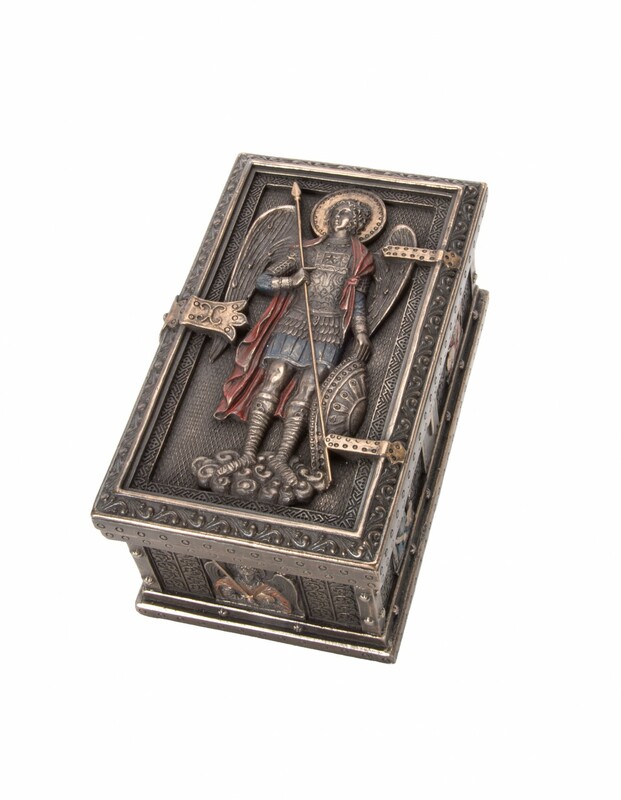 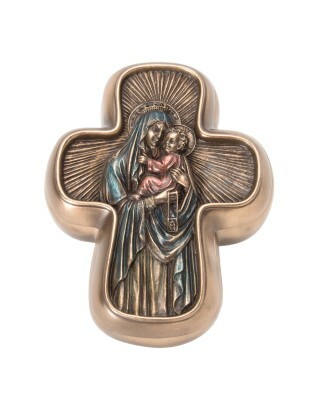 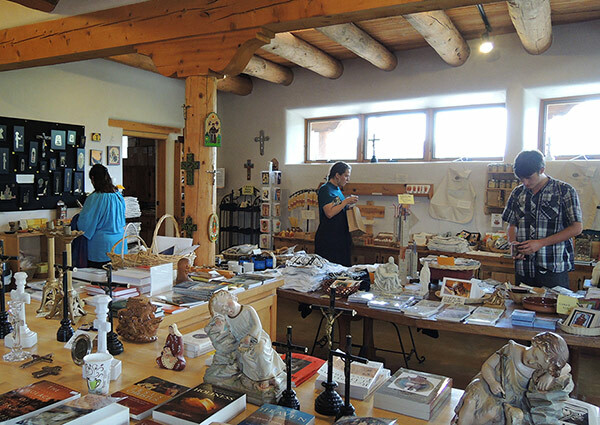 It looks like a treasure box with hinges and a latch depicted on its lid and there Saint Michael is also depicted in traditional warrior apparel: he carries a shield and a spear while clad in armor. 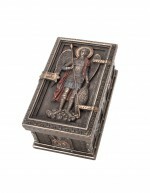 His hand painted red robe contrasts nicely with the bronze background. 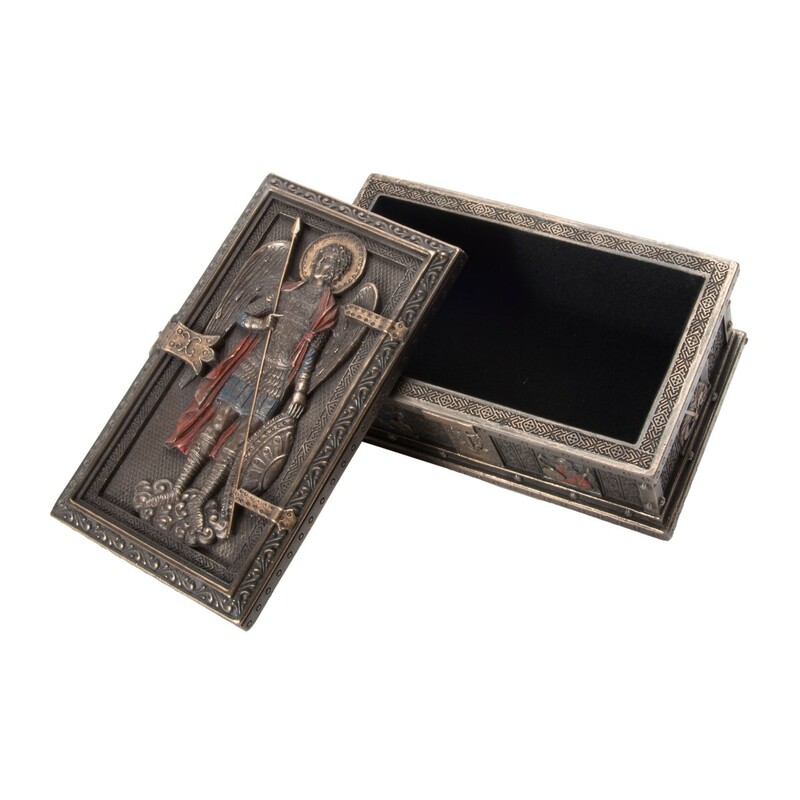 The sides of the box contain beautiful florid designs and images of the archangels Gabriel and Michael also lightly hand-painted. 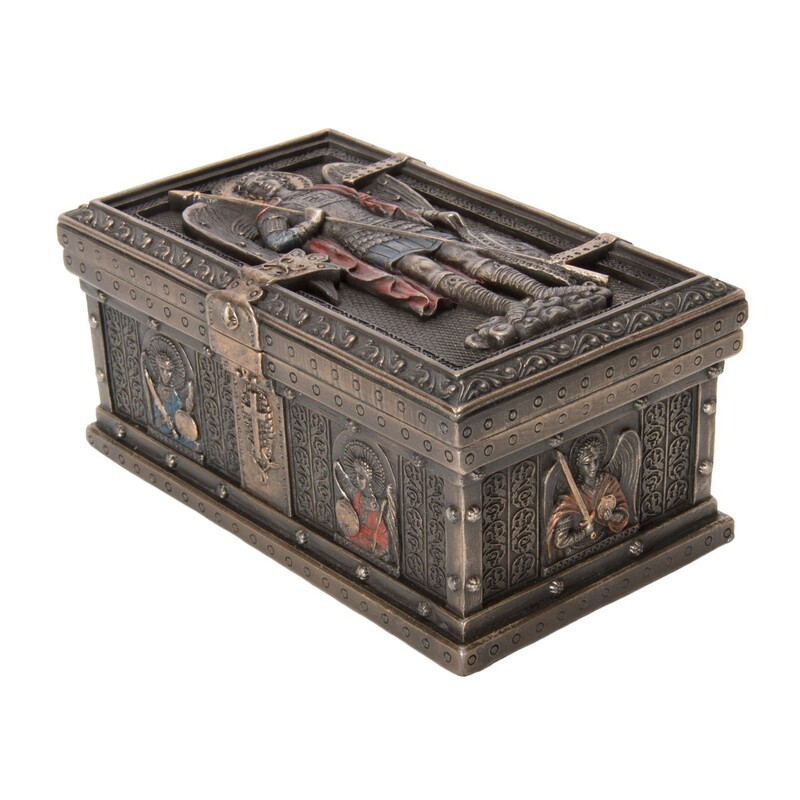 This box is a lovely way to store small valuables and makes a truly unusual gift.